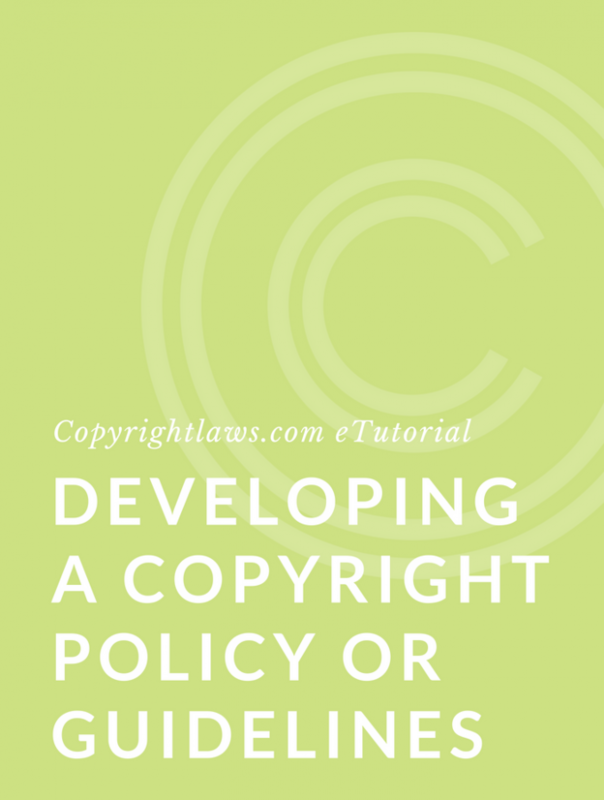 Complying with copyright law takes copyright education, consistent application of the law and a go-to person such as a Copyright Officer to guide others in your library or business toward doing the right thing both legally and ethically. Many think it’s easier to make excuses for not getting copyright permission than it is to comply with copyright law. Copyright Officers can help others comply with the law by debunking copyright myths and freeing them from their excuses to avoid copyright compliance. We’ve all heard excuses for not obtaining copyright permission prior to using a copyright-protected work. We may even have uttered some of the excuses set out below. Do you have a favorite excuse or one not mentioned below? If you’re a Copyright Officer or Copyright Librarian, you’ve probably heard some or all of these excuses. Take the time to determine misinformation about copyright and correct those myths quickly and frequently. 1. I found it online. Not all online content is in the public domain. Always assume that online content is protected by copyright, even if it has no copyright symbol or notice. 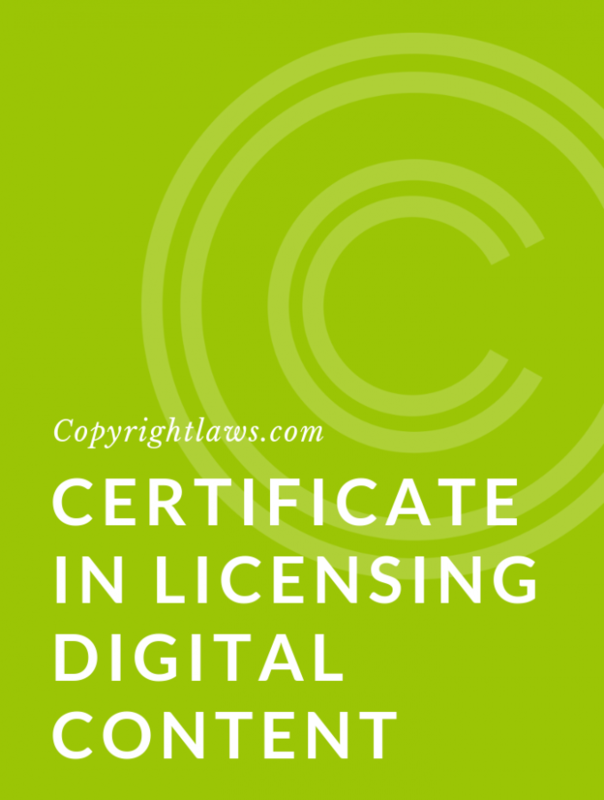 As a best practice, every time you locate online content that you’d like to use in a presentation, book or otherwise, determine the copyright status of the work and whether you need to obtain permission prior to using it. 2. I was in a hurry. Nothing in copyright law allows use without permission just because the consumer/user is in a hurry and must get a document to print or content included in a presentation. If you plan to use copyright-protected material, plan ahead. It may take some time to clear the rights you need. A general guideline is to start obtaining copyright permissions six weeks prior to the use of the protected materials. 3. My boss told me to copy it. If your boss didn’t provide you with a written warranty that they’ll be liable if you get caught infringing, this may be the time to stand up to your boss. It’s not easy to do, but this may in fact be the start of your new copyright compliance program at work. How best to approach the topic with your boss? Try providing examples of lawsuits, or explain how it would actually make things easier for employees if they had some sort of written copyright policy to follow (which hopefully your boss will follow too!). 4. I’ll never get caught. 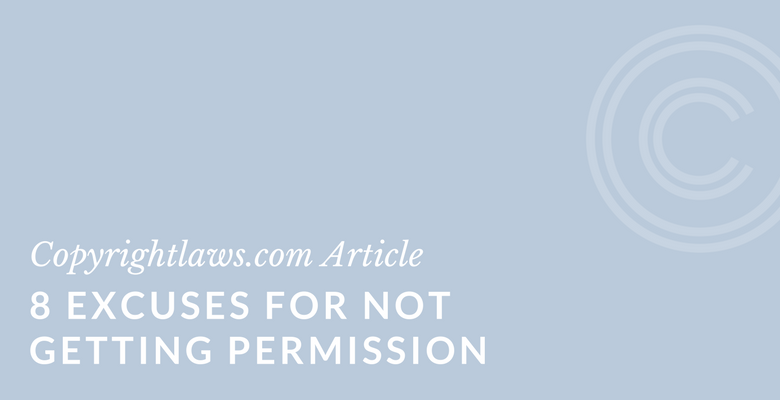 So, you know you should be obtaining permission. Everyone thinks they’ll never get caught … until they do. With tracking software and copyright owners being more aware of legal and unauthorized uses of their content, it’s becoming increasingly likely that you’ll hear from a copyright owner when you use their content without permission (and without an exception in the Copyright Act). Not all uses for educational purposes fall within an exception in copyright law. Check the copyright act in your country; it may provide some special limited free uses for nonprofit education, plus fair use or fair dealing may allow some educational uses too. Don’t just assume because your use is educational that you can use the content for free. Fair use and fair dealing can be tricky to apply. Consider having a designated person or two in your organization who make judgment calls about fair use or fair dealing to avoid inconsistent applications of these important principles. 6. It’s for internal use. Whether you’re using content internally or publicly, you still need to obtain permission from the copyright owner. The same is true if you’re publishing content on your private intranet instead of your public website. 7. It has a Creative Commons (CC) license. A CC license doesn’t mean free. The content is subject to the terms and conditions in the CC license — read the license and see what’s allowed. There are six different licenses that allow different kinds of use. Each license clearly sets out what you may do and may not do with the content. Follow these terms and conditions that the content owner has placed on their online content. (Similarly with stock agencies, you need to follow the terms and conditions of use in the license you have with the stock agency. Just because you pay a monthly fee doesn’t mean you have full and outright access to use images.) Click here to read more about the terms and conditions in CC licenses. 8. I emailed, called, faxed and snail-mailed the copyright owner but never received a reply. This doesn’t exonerate you from copyright liability. Unless the copyright owner provides permission, you may not legally use the content. Some countries have specific provisions for orphan works (works for which the author may not be found or located). The U.S. has no such provision. So, what do you do? You may need to plan to use alternative content, such existing third-party content or creating new content yourself. And a bonus 9th excuse: I found it on Google Images. Google Images is a search engine to locate appropriate images for your uses. The images in a search result are not necessarily in the public domain or free to use without permission from the copyright owner of the image. Like other content you find online, you should presume that those images are protected by copyright unless and until you determine otherwise. For tips on legally using images found through Google or other search engines, click here. What are excuses for not getting copyright permission that you’ve heard? If you like this article, you may like Copyright Law 101.
you can customize to meet your particular needs.